You look fantastic! I have never worn overalls (shock!!!) but I think I might have to give them a try after seeing this. Thanks for the inspiration! Your pictures are fantastic ! So nice outfit! So comfortable and chic and beauty! I love it! I've been on the fence with overalls…but dang girl…you look great in these!!!!! I love that you kept the look simple with the white shirt underneath, and adore the sweater that you wore on top…with just a bit of the overall strap showing!! CUUTE! Haha, yeah for a long day event like Coachella, overalls could get annoying after a bathroom trip. I am Tarah author of Tarah and the City. FIrst time vistor to your lovely blog. 🙂 And I like what I see. So I had to follow you on here and bloglovin'! Yay! I remember overalls as a kid. Those were the good ole' days! The overalls look really cute on you and I love your jewelry. You look so cute there! Your pictures are very pretty! You look awesome! 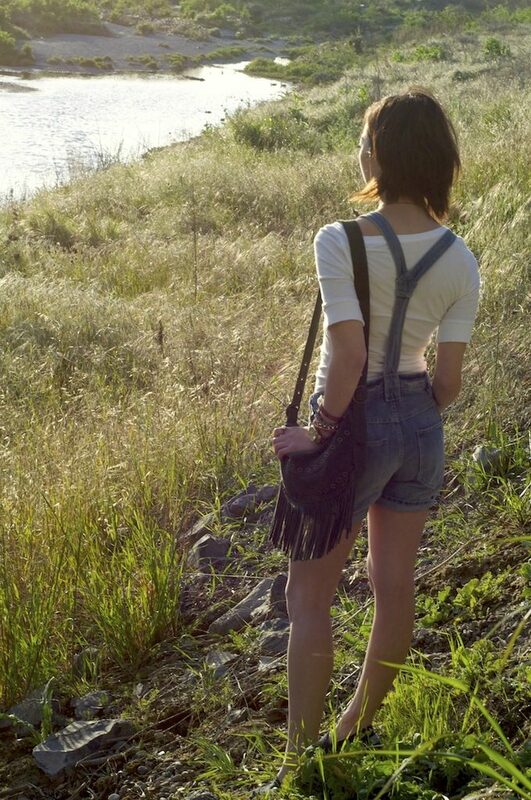 Those shortalls are adorable! I love how you accessorized them! This is adorable! Love the casual, cute feel of this.